Pregnancy is a very crucial phase in every woman's life. It is joyous, and it is going to change your life and change your body forever. While you are pregnant, there are many precautions that women follow which are instructed by the doctor and also voluntarily. To give birth to a healthy baby, the health of the mother is significant. While every woman puts a lot of efforts to maintain their health during pregnancy and rightly so, but pre-pregnancy health which is often not taken seriously has an impact on the baby's health. 1. Almonds: Of all the nuts, almonds have the highest protein, fiber, calcium, vitamin E, riboflavin, and niacin content. Having about 100 grams of almonds every day during pregnancy help in the brain development of the child in the womb. 2. Banana: Bananas are the best fruits to gain instant energy. They give strength to muscles which help in bearing menstrual cramps during the pre-pregnancy period and also help to bear cramps in stomach muscles throughout the pregnancy and even during labor. 3. Oatmeal: Oatmeal is the best source of magnesium. A healthy level of magnesium regulates the blood pressure and blood-sugar level. Consuming Oatmeal in breakfast also helps in weight reduction. 4. Avocado: Avocado is a superfood. It is rich in potassium and monounsaturated fatty acids. It is beneficial to in-take Avocado for everyone as it maintains the water level in the body, it is recommended especially during pregnancy because it helps in water retention. 5. Green and leafy vegetables: Having a salad including Kale, spinach, and broccoli is the best thing you can do to your body at any age. And if pregnancy is considered, these greens should be your go-to option to improve the level of vitamins A and C. Along with these vitamins, and they are also rich in two nutrients: folic acid and calcium which help in preventing congenital disabilities and building baby's strong bones respectively. 6. Yogurt: While a baby is growing in the womb, calcium is one of the most significant nutrients. If the mother does not consume enough calcium, the calcium required for the baby's bone formation is taken from the mother's body; and what better food to gain calcium other than yogurt. 7. Eggs: Eggs provide contain vitamin D and long-chain fatty acids (also called as EPA and DHA) which are vital in the infant's growth during pregnancy and also keeps the mother from morning sickness, reduce the risk of gestational diabetes, and prevents congenital disabilities and preeclampsia. 8. Lentils: Lentils are superfoods because of the nutrients they provide. Lentils contain many nutrients in the right proportion potassium, calcium, zinc, niacin and vitamin K, but are particularly rich in dietary fiber, lean protein, folate, and iron. It keeps the mother healthy. 9. Sweet potatoes: Many women are prescribed prenatal vitamin tablet. These are synthesized vitamins that help to overcome the vitamin deficiencies. The tablets are made from animal fats which when taken in excess may cause severe problems. To avoid the side effects, and gain vitamin A, sweet potatoes is the best bet. Sweet potatoes are a storehouse of Vitamin A and cause no side effects. 10. Berries: Berries are fruits rich in healthy carbs, vitamin C, and fibers. Berries also have good water content. They help you keep your body hydrated and are also great antioxidants. They detoxify your body. It is a super snack and a superfood to have when you are trying to get pregnant. 11. Quinoa: Quinoa is the best vegan source of protein. If you are a vegetarian or allergic to beef or chicken or just nauseous to chicken or beef, a bowl of quinoa will provide the same nutrients as other non-vegetarian sources of protein will. Along with high protein content, quinoa is also rich in fibers which help you get rid of excess fats. 12. Coconut oil: While you are giving up on fatty foods, some fat is necessary for the body. The right amount of fat can be obtained by consuming coconut oil. The oil is very healthy and keeps your body cool by preventing body heat and avoids any allergies and infection entering your body by increasing the immunity power. Coconut oil also improves the quality of breast milk. Coconut oil can be consumed raw, or in salad dressings or for cooking. 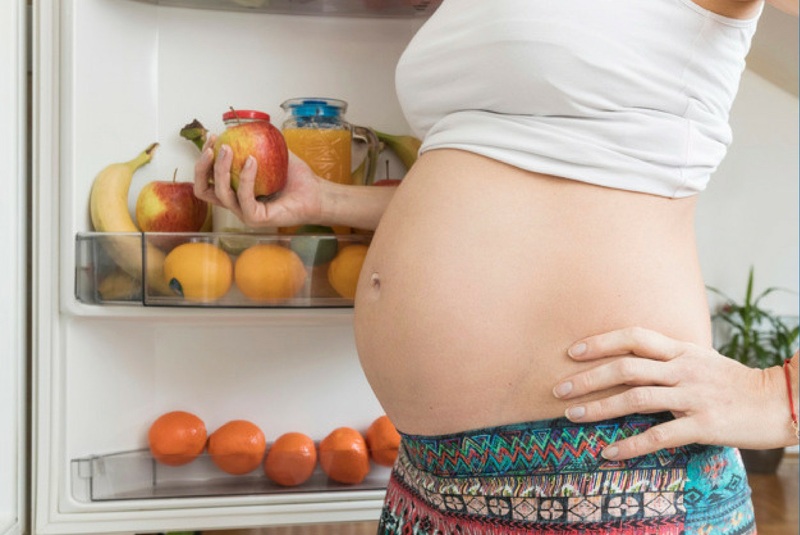 These superfoods are recommended for women who are planning a baby or are pregnant. This ensures a safe and healthy pregnancy. A woman's pre-pregnancy health provides a healthy pregnancy and results in a healthy child, and a healthy pregnancy ensures the mother healthy all her life! Biography: Arjun is the resident content marketer at progenesisivf. He started out as a content writer and went on to master the art of producing quality write-ups across different genres. His flair for writing meant that a career in full-fledged content marketing beckoned and when the opportunity came Arjun grabbed it with both hands. Today he oversees a team of writers and marketers to create winning content marketing strategies for our clients.